Four years after Operation Protective Edge, Hamas in Gaza and Israel are once again at a critical junction. 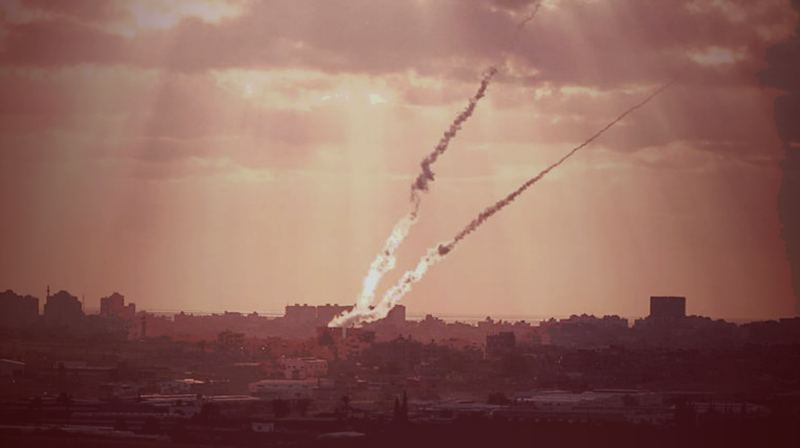 Hamas is gambling dangerously on an escalation it thinks it can control. A failure at state-building, Hamas sticks to military build-up in Gaza. (JNS). The very issue that caused Hamas to escalate tensions in the first place – Gaza’s isolation – remains in place, meaning that conflict could flare up even more in very little time. A formula for improving Gaza’s economy, without handing Hamas material or propaganda gifts, would go a long way to calming tensions in Gaza, I told the British Israel Communications and Research Center. On the other hand, a grand deal or a long-term truce is highly unlikely. This is because Hamas is unwilling to change its primary ideological commitment to destroying Israel, and to eventually overthrowing the Palestinian Authority government in the West Bank. In its desperate effort to break out of isolation and prevent the Gazan economy from collapsing, Hamas is marching Gaza to the very brink of war with Israel (JNS). Yet Hamas is unwilling to compromise, and relies only on violent pressure tactics to try and end Gaza’s isolation. A look at the terrorist semi-states of Hamas and Hizballah (IPT). The armed, fundamentalist entities situated on Israel’s borders have control over their own land, and they govern populations, making them a kind of semi-state. This creates an inherent contradiction between their hardline Islamist ideologies on the one hand, and their self-preservation interests on the other. What is the next phase of Israel’s active defense campaign in Syria? It seemst to involve targeting the Iranian-backed militias, which are playing a key role in Syria. Check out my latest paper for the Begin-Sadat Center for Strategic Studies. Is Erdogan’s Islamist-run Turkey going to get 100 F-35 fighter jets? Turkey is one of eight original partner countries that took part in the development of the advanced aircraft, giving it the status of a founding investor. Cancelling the sale is not something the U.S. can realistically do overnight. More details here (JNS).